Back in June this year I wrote a blog called Changes, about the demise of the website for an online Dragon Magick Clan I belong to. Well, I’m happy to say that after one false start on a free hosted uCoz website (which a lot of people had trouble accessing) we now have a shiny new website for our Clan at dmvclan.com. Our Clan’s High Priest has very generously paid for 2 years hosting and a domain name and installed a Drupal CMS on the site, after which I then set to work setting up the new website. Never having worked with Drupal before I found it to be a very confusing and difficult beast at first, but eventually made enough headway to end up with a half decent looking website. 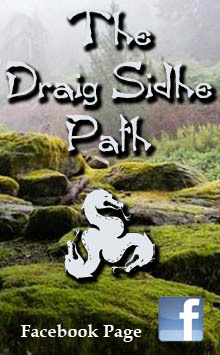 There’s still a lot of work to do on the website, but at least I’ve managed to figure out how to install the necessary modules to get new forums set up, the user groups and viewing/posting permissions sorted and pages of information posted, as well as a separate section for our “Book Of Dragon” which is only viewable by full Clan members rather than all and sundry. Setting up the new Drupal site from scratch and then copying all the information from the uCoz website to the new one by myself was a mammoth effort, but also a “labour of love” (or just plain insanity, lol) as I wanted to get something set up as quickly as possible so the group wouldn’t disappear due to an apparent lack of interest as people waited for something to eventually happen. Unlike others whose available time for such a project was limited due to work and other factors, my work/home circumstances meant that I was able to make my time available for this task, so I did it. I also spent many, many hours with Photoshop, creating the various graphics that decorate the site, as I feel the appearance of a website can add (or detract) from the overall experience. Now we have the beginnings of our new home set up we can move forward once more. 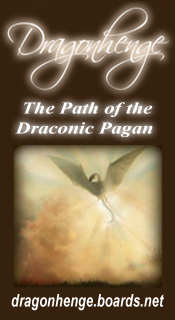 When I first joined the group it was called The New Dawn Dragon Magick Clan and that was the name on the website that got shut down in June 2013, without any warning, by the group’s High Priestess. 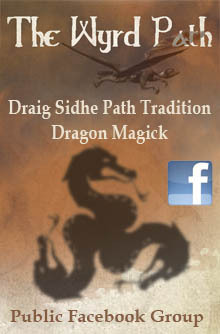 Prior to being called TND the group was hosted on the Spells of Magic social platform and called simply Dragon Magick Coven (started in 2008). 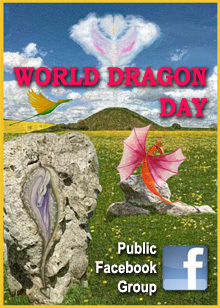 After SoM the Dragon Magick Coven became TND Dragon Magick Clan and went through a number of other moves around the internet, starting with a free hosted site on uCoz (where I first joined in August 2010) followed by a move to its own website on the social platform Spruz (which was very quickly abandoned) then moved again to become a subgroup of another site called The Alchemists Passage which was also hosted on Spruz. TND seemed to be doing ok as a subgroup on the Alchemists Passage website for a while, but file storage was limited and we’d lost some of the site functionality we’d had on the uCoz site. 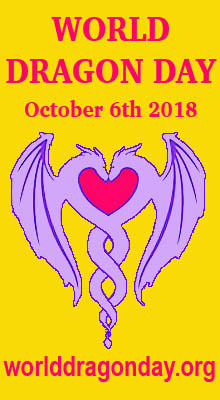 So we took a vote and decided that we were happier being an autonomous group with our own website, so back to uCoz we went (and we still supported the AP website by taking part in other general Pagan forums there). The only trouble was, every time we moved to a new website we lost some members and even though new people did eventually sign up the “feel” of the group changed each time. There were also a few issues with some peoples’ ISPs not allowing them access to any websites hosted by uCoz for fear of malware attacks, but they seemed to be in the minority. Eventually this access problem was resolved and all was well (or so it seemed) …for a while. As with any group there are always “people problems” — differences of opinion, personality clashes, miscommunications, twisted truths and straight out lies, but as I was not an admin on these earlier sites I was not aware of the full extent of the “people problems” festering in the background. Eventually this all blew up in June 2013 when the remaining Admin/High Priestess of TND decided to pull the plug on the TND website and her Alchemists Passage website, leaving 140+ people “homeless”. She also erased all traces, such as Facebook pages and others, of her online identity she’d used in the Clan and totally disappeared. 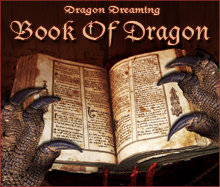 This entry was posted in Draconic Miscellanea, Dragon Magick, Personal Musings and tagged Clan members, DMV Clan, Drachen Magie Vermachtnis clan, dragon magick, Dragon Magick Clan, SoM, Spells of Magic, The New Dawn Dragon Magick Clan, TND. and it said something about being a Dragon Brother. Is there any way I could reach this level and build from there? I’ll take any advice on how to do this! Thanks; and, sorry for being off topic. I could not find any other way to contact you but, . . . THIS is why I usually dislike automated “spam detection” programs and/or services. Too many false positives. – Plus, if they are reliant on specific email addresses, it is too easy for some to “impersonate” an identity which can get one wrongly classified as a “spammer”. Is there some way to try this again? Sorry about that …I don’t know what went wrong as we’ve had several people sign up successfully since the introduction of the extra antispam measures. Did you fill in all the required fields? Did it present you with a CAPTCHA image which maybe you got wrong? …I’ve just reduced the difficulty of the CAPTCHA so hopefully that will help – it was set rather high to try to keep out the bots. The main antispam module now in use is “Mollom” which we had to introduce because the required fields and CAPTCHA were still not enough stop the spammers. The spam registrations were easy enough to recognise but too much time was being invested in checking and deleting each one as it came through. Anyway, try again and let me know what happens. If it still doesn’t work let me know and I’ll try setting up a profile for you then you can sign in and change the password etc.